Fans of Motorola’s Android phones are combing the blogosphere looking for rumors and speculation about the Moto’s next-generation handset that’s being called the Moto G3. So far, no Moto G3 launch date has been announced and the phone’s specs are still a matter of speculation. One report says it will have a revamped design that includes a front-facing speaker and a 3.5mm audio jack on the top. Another prediction says the phone will have a 5.0-inch display with 1280 x 720 pixel screen resolution with handset with the latest Android 5.1.1 Lollipop already installed. The Moto G website is posting frequent updates about the phone, including a report that says the Moto G3 release date has been pushed back. The site plans to have details on where to buy the phone once that information is available. 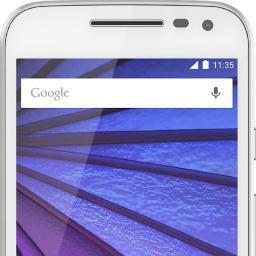 You can keep in touch on the Moto G website and follow their tweets @motog3india on Twitter.